An API that is easy to integrate into software solutions such as ERPs or CRMs is the wish of any CTO. When adopting a new technology to streamline processes in companies, an easy integration of the tool is almost as important as its benefits. 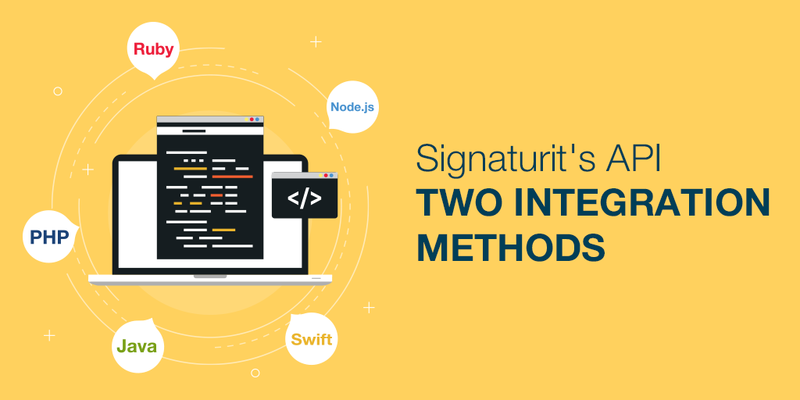 In this post we will speak about our API, the reasons for integrating our electronic signature solution via API, as well as the advantages and integration methods. Although in a previous post we have already explained in detail what is an API, we would like to define the concept again for its full understanding. Basically, an API is a set of computer protocols and functions that we can implement into our projects without having to program them again. The result is that the APIs simplify the work of software developers, who don't have to write codes from scratch, but can use the functions predefined by others thanks to APIs. in a safe and reliable way. The increasing use of APIs by companies is the result of a change in mentality within the framework of the digital economy. Thanks to the integration of functions via API, companies can strengthen their services without having to take on the costs of developing those functions. On other occasions we have commented on why Signaturit is the fastest solution in the market to request and make electronic signatures, or why the contracts signed with our advanced electronic signature solution have full legal validity. But as we mentioned, in the case of adopting a software tool, its easy integration is a powerful advantage. Signing a contract is often the crucial step that finalizes a long sales process, or the last step to begin a service. Therefore, it is important to be able to process and control the signature status from the same software that the company uses to manage its daily activity. Some consumers find it unreliable having to sign a document through an external platform, not directly on the web where they are purchasing a product or service. An API integration avoids redirecting a client to an external control panel, different from the rest of the process. In Signaturit we have devoted a lot of effort to developing a simple and versatile API to facilitate its integration with any CRM or ERP. Sending and requesting electronic signatures. Certified electronic delivery by email with proof of receipt, or certifying text messages sent to mobile devices (SMS). The electronic identification of clients thanks to our data recognition technology, capable of reading and authenticating identity documents and passports. Certify files or documents, in any format, to prove its authenticity, delivery and reception by the client. 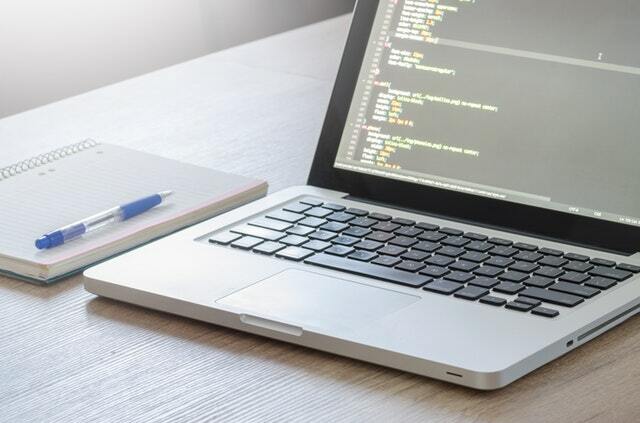 Our API can be adapted to any platform - from Oracle, Salesforce and SAP to Microsoft Dynamics, Sage CRM or GoldMine-, and our technical team offers integral support to developers to guarantee a fast and efficient integration. Companies who choose our API can decide on two types of integration. By integrating the electronic signature in your company’s website, your customers can sign a document without leaving your website or application, wherever they are making the purchase or transaction. Therefore, they can sign the documents necessary to complete the transaction directly in your company’s web or mobile app, easily and intuitively. In this case, the signature request will be done from the company’s software. A team member can request a signature to a customer or a provider through the company's CRM or ERP, but the request and formalization of the signature will be done through email. This means that the client will receive an email through which he/she can open the document and sign it. In both types of integration, our API offers a high degree of personalization. Whether the signature is requested via email or through a URL, our customers can incorporate their logo, corporate color and typography, etc. into their signature requests. Beyond sending a signature request and having a record of signature requests sent and received, our API allows our customers to incorporate much more information into their CRMs or ERPs. Integration via API allows to subscribe to events. When these events trigger according to the signer’s behavior, you can set up flows directly into your CRM. 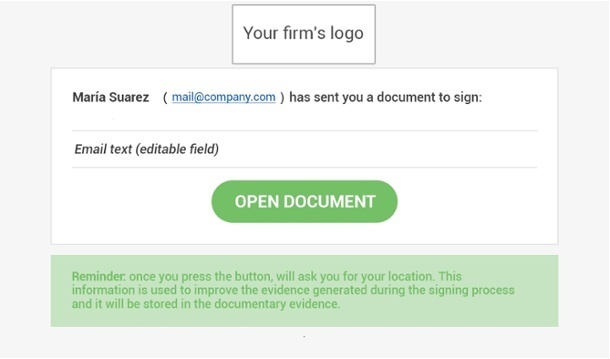 For example, if the recipient of a signature request has opened the mail but has not signed the document, this data allows to establish a new workflow to automatically send a reminder. Lastly, to facilitate the integration of our API into any CRM or ERP even more, we make a series of SDKs (Software Development Kit) available to developers. These SDKs are compatible with the following programming languages: Ruby, Python, PHP, Node.js, Swift, Java and .NET. We also must mention that we comply with the applicable legislation on data protection - the Spanish LOPD and European GDPR - to guarantee the protection and privacy of all information necessary to authenticate the parties involved in the transaction, including the biometric data captured during the signature process and the information contained in the documents sent to sign through our platform. If you want more information on our API, visit our developer portal or our Help Center. You can also write to us at api@signaturit.com. And remember that you can try Signaturit for free for 14 days. Register here to start your free trial.